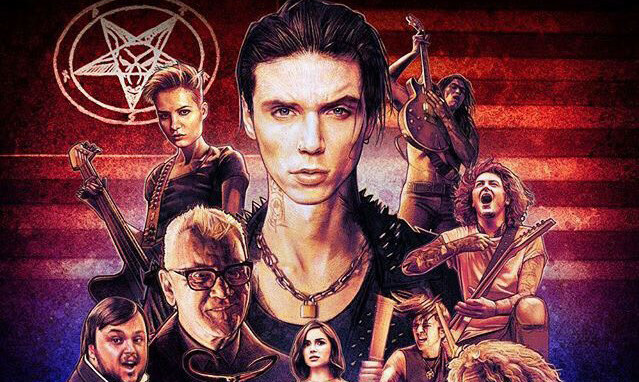 And Andy Biersack has opened up about who inspired his character in the film and forthcoming television series. It was revealed by Asking Alexandria's Ben Bruce last week that both he and Black Veil Brides' Andy Biersack would be reprising their roles from American Satan in the spinoff TV series Paradise City. Filming begins today for Paradise City, and in celebration Andy has taken to Twitter to share what inspired his character of Johnny, and what inspires his portrayal of the character. Speaking about his character Johnny, Andy shared "In my mind I’ve always thought of Johnny’s vibe as a bit like Sting from Starcade ‘97 or maybe I just wish I was 90’s Sting haha". He also shared how excited he is to back filming the series, tweeting "I can’t even begin to tell you how cool the script is and the cast that has been assembled is fantastic! I’ll update everyone more throughout the production but again, can’t wait for tomorrow and thank you to everyone who’s been so supportive of the project!" As yet there's no release date planned for Paradise City.